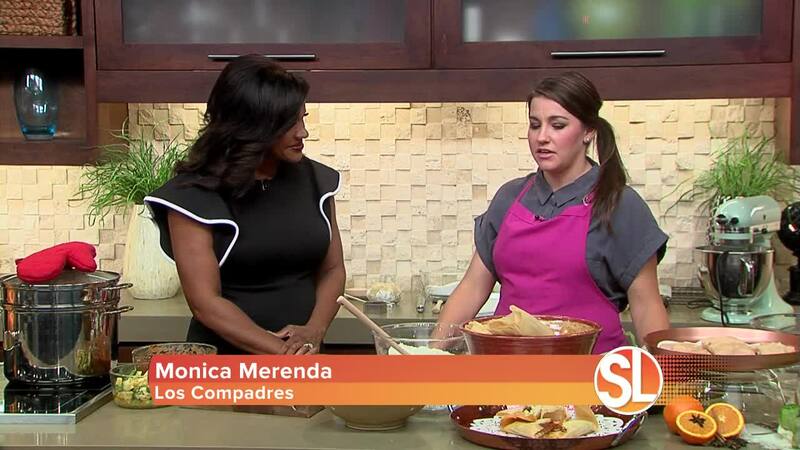 ((SL Advertiser)) Los Compadres Mexican Restaurant celebrates Hispanic Heritage Month with Tamales! 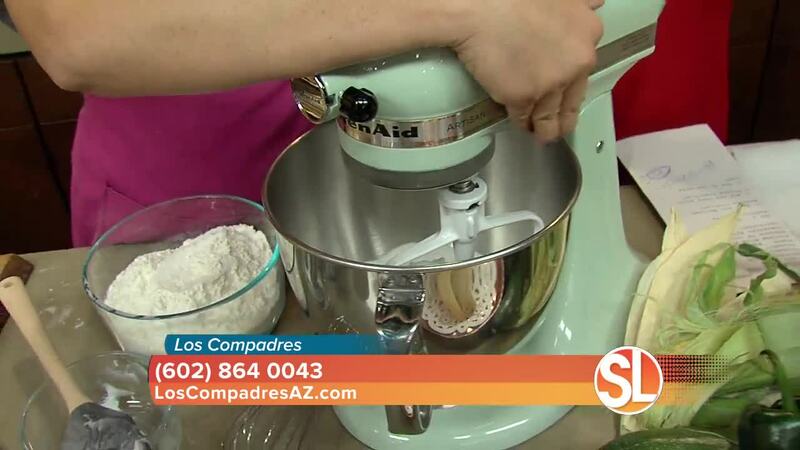 Los Compadres Mexican Restaurant talks about their family tradition of making tamales and biscochitos. Rinse corn husks and soak for about 10 min. Set aside. Mix all ingredients in a bowl with hands until dough does not stick to hands. filling - meat, chicken, veggies, etc. Gently wrap husk closed to fold masa around filling, tucking in one end of the husk. Wrap tamale in a tamale wrapper for steaming - with both ends closed. Raw tamales can be frozen to be steamed at a later date. Steam uncooked tamales for approx. 1 hr or until masa separates from husk easily. to pie crust dough. Refrigerate dough for 30 minutes. paper. In a small bowl, combine the sugar and cinnamon for topping.